TWO security guards were sitting next to the stairway leading to the Table Tennis Association of Malaysia (TTAM) office on Sunday. “Sorry, but we’ve received instructions not to allow anyone in. There’s a meeting going on,” said the burly yet friendly guard. The guards had been there for hours as the national body’s exco members met behind closed doors – explaining how TTAM loaned RM8 million to two developers last year. When the meeting ended, TTAM secretary-general Chan Foong Keong still found it tough revealing the transactions when he met the press at the restaurant below. Instead, he told TTAM’s legal representative Ankit Sanghvi to answer questions posed by Twentytwo13 and TV3. Ankit was forthcoming with his answers as TTAM officials have been tight-lipped about the matter since it was first reported by Foul! on May 6, 2018. It was then reported TTAM’s financial statement (ended March 31, 2018) presented during the 6th exco meeting on April 21, 2018 saw RM8 million loans granted to two private companies – Ekal Jaya Sdn Bhd and Iktimewah Sdn Bhd (RM4 million each). The loans come with one per cent interest per month. “The association has been in talks with the two companies and they have agreed to return the money. As for the interests gained, we are finding ways to convert that into a sponsorship deal so the association will not be required to return the money. This is still being negotiated with the parties involved,” added Ankit. Chan said the two companies had agreed to return the money and that full payment will be made “by November”. Only when pressed several times, Chan admitted there was “an oversight by the exco members” in approving the loans and insisted no one from the association benefited from the deal. Chan (left) and Ankit speaking to the press at a restaurant below TTAM’s office. But why the two companies? “One of our members told the exco about loaning money to the companies. No one from TTAM is linked to the companies,” he said. He did not name the member and those who approved the loans. Chan could only afford a wry smile when asked if any of the exco members found the giving out of loans, despite not being a financial or moneylending institution, wrong. 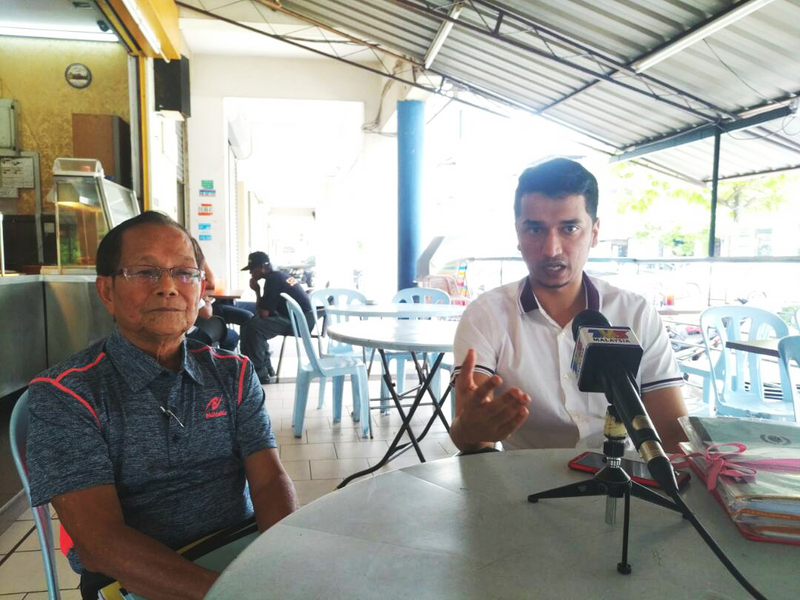 As a police report has been lodged over the matter, Sports Commissioner Datuk Zaiton Othman preferred to keep mum, saying “it’s a police case and any comments will be considered as interfering with the investigation”. Was TTAM responding to this matter following two official letters from the Penang and Kuala Lumpur associations or because a police report was lodged? Would TTAM continue their deals with the two companies if this matter had not been publicised? Are other sporting associations also adopting the “Ah Long” business modal to raise funds? And isn’t the Sports Commissioner’s Office who is supposed to crack the whip?